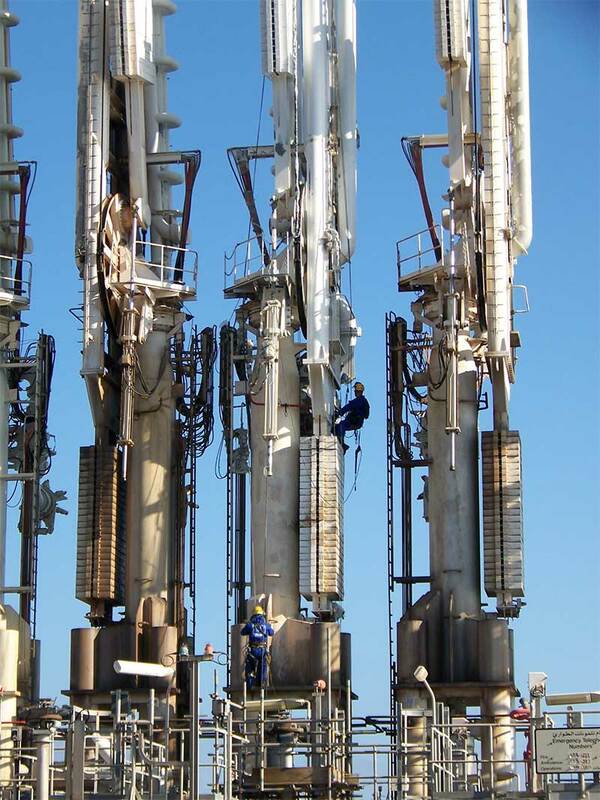 High Q have proven expertise in providing acceptable solutions to tasks complicated by difficult access for many clients in the energy industry. Energy facilities often work 24 hours a day for most of the year, and by the very nature of the process itself can be hazardous environments. A significant benefit of using rope access in the energy industry is the rapid deployment and removal of equipment, and minimum impact on other operations. This means less exposure to hazardous environments and quicker turnaround which can shorten shut-down periods. With a flexible, highly skilled workforce we are confident in our ability to consistently provide cost, safety and performance benefits in situations where access is an issue.